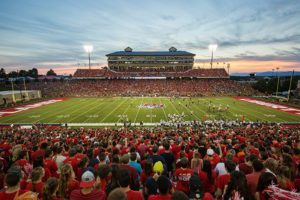 Liberty becomes first University to implement outsourced licensed ticketing model - The Aspire Group, Inc.
(ATLANTA, GA) – The Aspire Sport Marketing Group and Liberty University announced a partnership for the first outsourced licensed ticketing model in collegiate athletics. The partnership will include access to all Aspire Fan Relationship Management “Next-Practices” systems, sales and service training, and the full suite of strategic consulting & research (SC&R) services. Aspire’s SC&R team kicked off the partnership with a situational analysis and an on-site organizational review to identify challenges and opportunities for Liberty Athletics, as well as in-depth fan surveying to understand Flame fans and their relationship with Athletics. The SC&R team will also provide Liberty with on-going strategic guidance to evolve their fan engagement and revenue generation practices including Aspire’s proprietary Yield Management approach to ticket pricing & packaging. Aspire has a similar licensed retainer model agreement in professional sports with the National Rugby League in Australia. Liberty is Aspire’s 13th partner added in 2017. In 2016, Aspire added 32 new partners to its portfolio of over 200 professional and collegiate properties, generating over $200 million in ticket and related donation revenue. Liberty University is the largest private, nonprofit university in the nation, the largest university in Virginia, and the largest Christian university in the world. Liberty University is accredited by the Southern Association of Colleges and Schools Commission on Colleges and has more than 15,000 residential students and more than 94,000 students enrolled in online programs. A pioneer in distance education since 1985, Liberty provides exceptional resources to online students, including an online library, the Online Writing Center, a partnership with Tutor.com, Online Student Life, and knowledgeable and accessible academic advisors. Liberty University’s athletics programs have competed at the NCAA Division I level since 1988 and have been a successful member of the Big South Conference since 1991. Liberty has claimed the Big South’s Sasser Cup trophy (awarded annually to the top athletics program in the Big South) a league-best 12 times and has captured more than 140 conference titles. 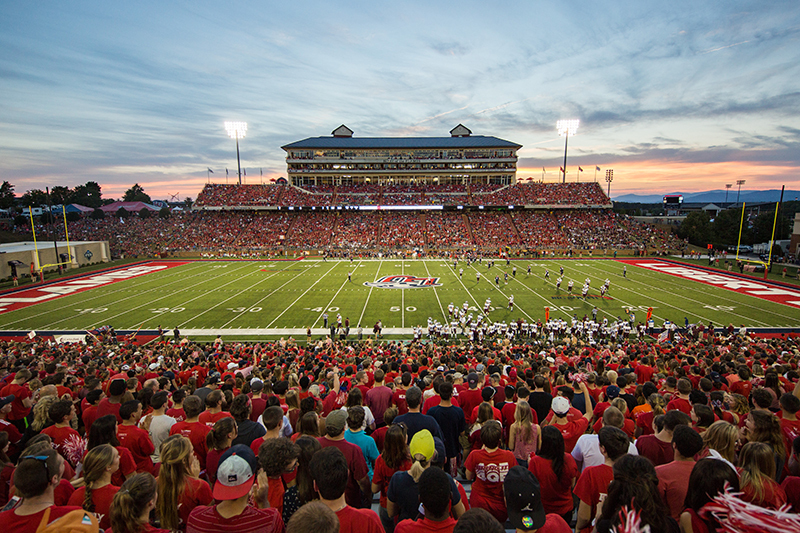 Liberty’s football program, an eight-time conference champion and 2014 NCAA FCS Playoff participate, will begin a two-year reclassification process with the NCAA in 2017 and will compete as an FBS independent program in 2018. The Aspire Group is a global sports and entertainment marketing firm specializing in providing partners with the most innovative ticket marketing, sales and service solutions in the sport industry. Aspire created the Ticket Marketing, Sales & Service (TiMSSSM) niche, revolutionizing the Intercollegiate Athletics space with the first Fan Relationship Management Center (FRMCSM) at Georgia Tech in 2009. Over 200 collegiate and professional sports properties have trusted Aspire to drive revenue, attendance and enterprise value growth through the combination of strategic consulting and research services, data insights and best-in-industry fan relationship management. For more information, visit www.theaspiregroupinc.com.